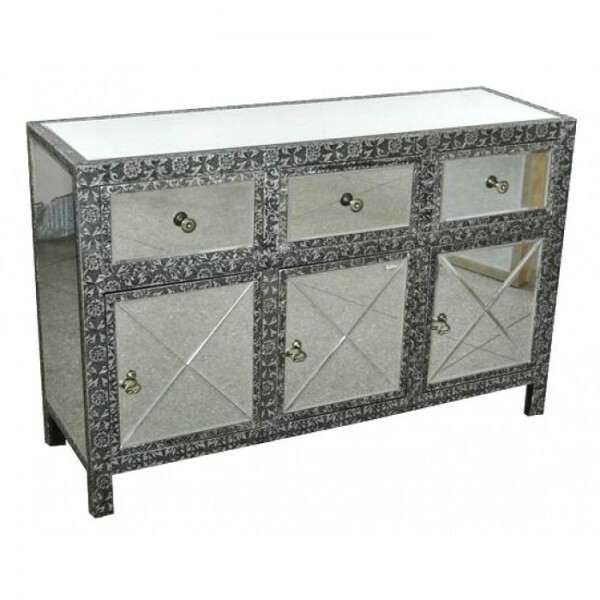 An absolutely beautiful Chaandhi Kar Black Silver Embossed Mirrored Sideboard, delivered fully assembled. With 3 drawers at the top, and cupboard space below, this eye catching cabinet will be the focal point to your room decor. The size is w122 x d40 x h79cm.